Lenovo has launched the Z5 Pro smartphone in China. It joins the Honor Magic 2 and Mi Mix 3 in offering a slider-based design in recent weeks. The phone is cheaper than Xiaomi and Honor’s slider phones. We’ve seen the Xiaomi Mi Mix 3 and Honor Magic 2 offer slider designs in recent weeks, but the Lenovo Z5 Pro has been waiting in the wings too. The Chinese brand finally launched the slider device today, so how does it fare against the competition? The Lenovo Z5 Pro is equipped with a Snapdragon 710 chipset rather than a top-end Snapdragon 845 processor seen in the Mi Mix 3. The 710 is still a very powerful SoC, but it’s not quite as nippy as the 845. Still, when you toss in 6GB of RAM and 64GB or 128GB of (fixed) storage, you shouldn’t have any performance issues. But the drawcard here is the sliding design, enabling a notchless 6.39-inch display (2,340 x 1,080) with a 95.06 percent screen/body ratio, according to Lenovo. By comparison, Xiaomi’s Mi Mix 3 claims a 93.4 percent screen/body ratio, while the Honor Magic 2 touts a 91.5 percent ratio. The screen is also hiding an in-display fingerprint sensor, as is the case with Xiaomi and Honor‘s efforts. 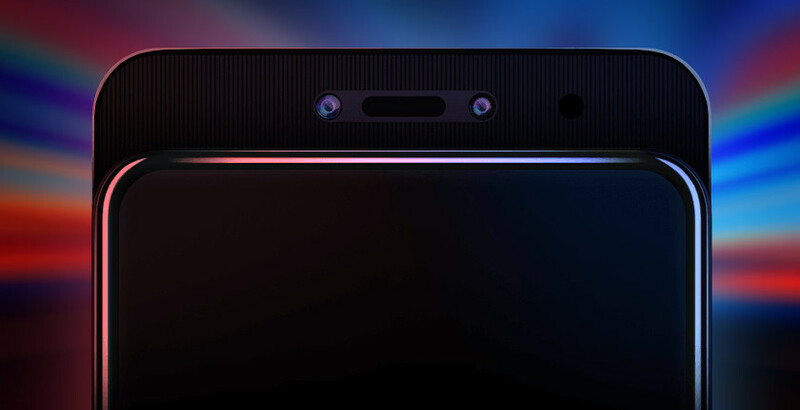 Pop the slider mechanism and you’ll find the earpiece, proximity sensor, and 16MP+8MP infrared camera setup. The 8MP camera enables IR face recognition, but it’s unclear if it’s also used for portraits and other depth-related effects. Switch to the back and you’ll find a 16MP+24MP pairing (f/1.8), offering an AI Super Night Scene mode and AI Super Video Shooting. The former is essentially Lenovo’s take on today’s night photography modes, while the latter seems to be a night mode for video recording. The company has also confirmed that the 16MP shooter uses pixel-binning (four into one), ostensibly for brighter results. Lenovo’s phone also comes with a few more tricks, such as dynamic adjustments to reduce background noise on calls, a game mode for faster performance and reduced network latency, and “deep power saving” at night. Other noteworthy features include a 3,350mAh battery, the ZUI 10.0 skin based on Android Oreo (no word on updates to Android Pie), Bluetooth 5.0, and NFC. Unfortunately, the device lacks a headphone jack, much like the Xiaomi and Honor sliders. The Lenovo Z5 Pro has a starting price of 1,998 yuan (~$288), while the 6GB/128GB variant will set you back 2,298 yuan (~$331). That’s not a bad price to pay for a slider smartphone, especially when the Mi Mix 3 starts at 3,299 yuan (~$475) for the 6GB/128GB model, while the Honor Magic 2 has a starting price of 3,799 yuan (~$545) for the 6GB/128GB variant. Would you buy the Lenovo Z5 Pro over the other slider phones on the market? Give us your answer in the comments! Next Next post: Why should you buy a PlayStation 4?